I create a document in my work desktop with various fonts. And now I bring that file at home. My home computer does not have all the same font from my works desktop. Now I open the APub file in my home computer. Observed : Apub replace that font with Arial font. I wish Apub should inform about when it open the file like PP. If you have ever chosen to replace a font in APub, it remembers and does it automatically. 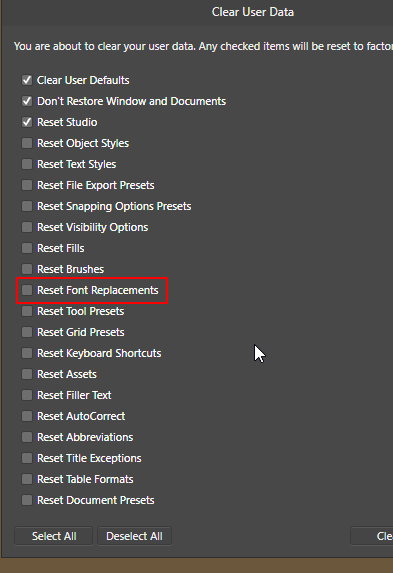 You can reset the replacements. Hopefully that will work for you, Arun. The issue is I just open the File (50 Pages) and sent to print on my Inkjet Colour Printer. And find the issue when my printer complete the print.